Ironmanager | The sport of management. Not finishing a race, or anything for that matter, is foreign to me. So when the Rock the Ridge 50-mile Challenge course was closed by race officials due to dangerous weather conditions and I had only reached the 25-mile mark, I had trouble putting things into perspective. Then they offered me a medal. I take pride in my athletic endeavors, focusing on effort and progress. Rather than training to race, I race to train, rejoicing in weekly miles and reps. I have seen the competition and it is me. I set goals then do what it takes to crush them. 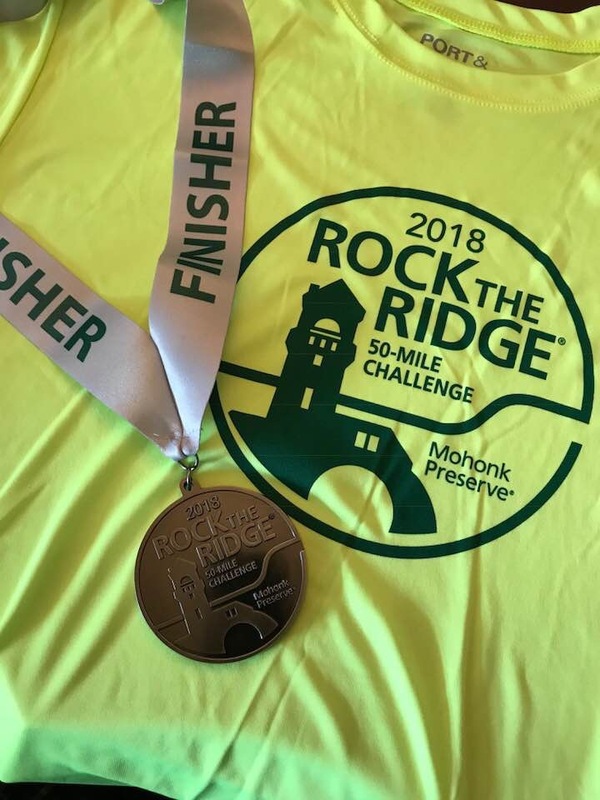 Rock the Ridge, an iconic 50-mile trail race, has always been on my list, and 2018 was the year I would cross it off. I toed the line with the Jeff’s (Mitchell and LaCroix), arriving at an overcast starting line at the Mohonk Preserve Testimonial Gatehouse with a healthy sense of humor, dread, and anticipation. As our 6:00 am start faded in the rearview mirror, the promise of rain was fulfilled. My steps found a rhythm with the steady beat of the downpour, temperatures hovering between cold and colder making for magnificently miserable miles. Then runners began being pulled off the course with symptoms of hypothermia. I encountered three during my run, each shaking, confused, and disappointed. It was raining so hard that residual laundry soap trapped in my running shorts was oozing down my legs, creating a soapy-white trail behind me. The experience played on my mind, my brain wandering to warmer, drier places while my white, foamy legs dutifully propelled me forward. I imagined the rain stopping and the sun triumphantly drying the landscape, parting the seas for my glorious finish. Mother Nature would have nothing of it. She kept throwing the rain and cold, spiced occasionally with a wind that chilled like an icy sword. My inner voice became indignant; ‘really, why are we continuing?…enough of this…no harm in stopping…’ blah, blah, blah. I’ve heard it all before. The halfway point at Lyons Road resembled a runner’s refugee camp. I was drawn to a single heater which too many people had crowded around. 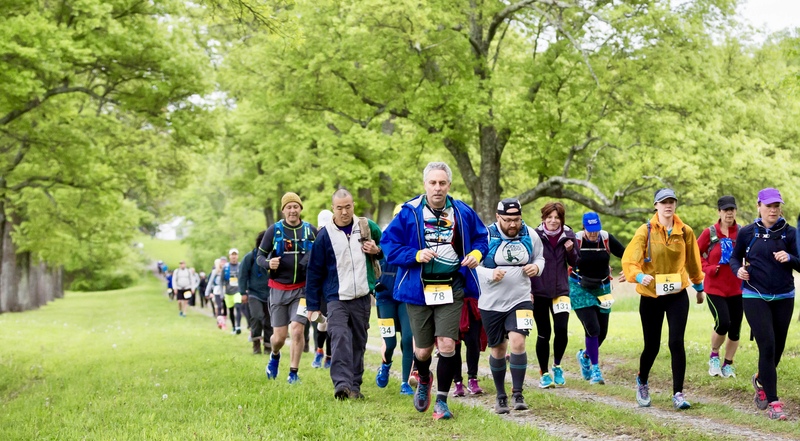 There was food, drink, the bags we had dropped at the finish line with our own essentials, amazing volunteers with outstanding attitudes and encouragement, and a message – don’t leave until I hear from the Park Ranger. Little did I know the decision had been made that my race and the race of all of the 50-milers behind me was over. Race officials decided it would be dangerous for us to continue to subject ourselves to hypothermic conditions for the second 25 miles. They were right to be cautious. Too many had already been pulled off the course. The decision was pragmatic and in the best interests of everyone concerned. I know that now, but in my moment of misery and confusion, I was devastated. When I said I wanted this to stop I didn’t mean it. That’s all part of why I do this, to do stuff I can’t do. I munched on my peanut butter and jelly sandwich, fingers numb to the bread, thinking this really had become a nightmare. The only thing worse than continuing was ending early. My colleagues and I boarded the bus in silence, taking our seats deferentially and staring off into the fog. It was a somber ride,the opposite of what you would have seen if you had put the same people on a bus after crossing the finish line. It took time for me to wrap my head around not finishing. Then, the email came. Since my race finish was out of my control, I was offered a finisher’s medal for what I had accomplished. Ha-ha, right, no way. A medal from a race I didn’t finish? Isn’t that blasphemy? But then I realized this story doesn’t end at Lyons Road. It’s been rerouted. Now that a ‘want-to’ has become a ‘have-to,’ there’s a sequel to be made. The medal reminds me of the mettle it will take to earn my medal. 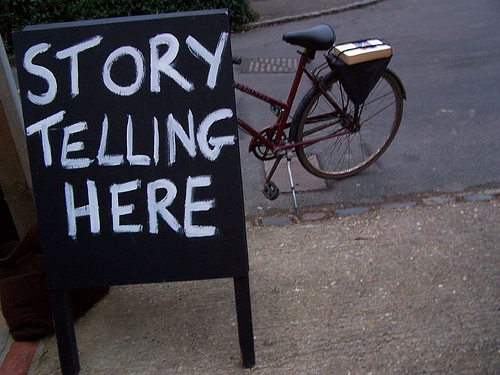 Not all stories are completed in 50 miles. I may not know how this one will end, but one thing is crystal clear – I have unfinished business on the Ridge. Ragg Mopps – the whole team at the finish line. Let’s just say I had my doubts going into my first RAGNAR relay. The RAGNAR concept is this: Twelve people divided into two vans embark on a relay race. With one runner on the course all the time, they traverse 200 or so miles to the finish line. There are also ultra-runner teams who choose to run the same course with six people. In our case, the starting point was Saratoga Springs, NY and the finish line a mere 193.1 miles away at the Lake Placid Horse Show grounds. Months ago, a co-worker, Allison, asked me if I had ever run a RAGNAR race, and would I ever consider one if the opportunity arose. No, I had not, and of course I’d consider any endurance event. 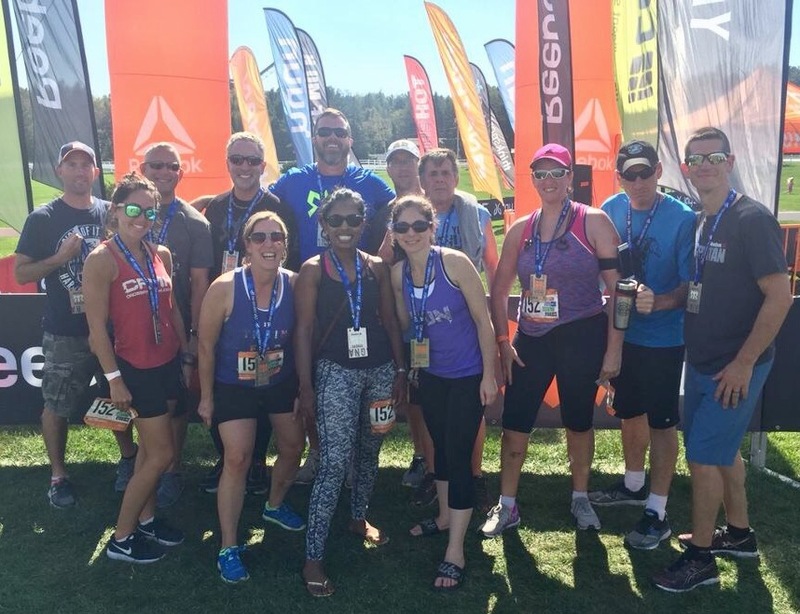 A few days later an email arrived from Allison saying her RAGNAR team was a few runners short and would I like to join the team. Then I read up on it. Everything about the RAGNAR experience seemed awesome. Smiling people in team uniforms, costumes, and decorated vans running through communities around the clock, living out of a van and catching rest and food when they can. I’d never run in the wee hours of the morning, so the prospect of running under a clear, star-filled Adirondack sky at 3:45 am appealed to me. My support ‘team’ has always been with me over the long course of my endurance career – either on the sidelines cheering or somewhere else in the race heading for a finish line reunion. But, when I race, I race alone with my own thoughts at my own pace. I’d never had to rely, or be relied upon. Sharing something so personal felt odd. I wasn’t sure I’d like it. 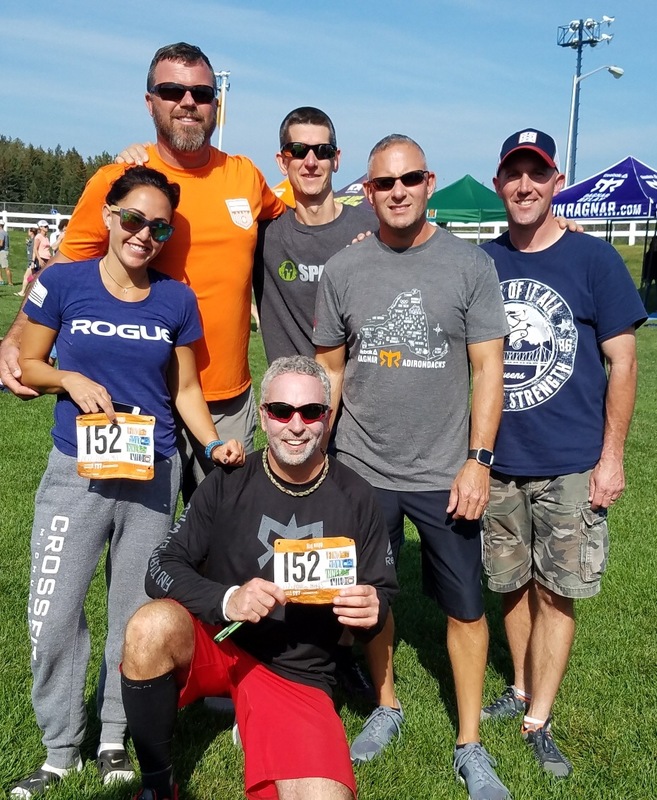 In the weeks leading up to the race, several other runners were unable to toe the line, so I reached out to some gym mates and found myself surrounded by four friends in our van, with one runner we didn’t know. 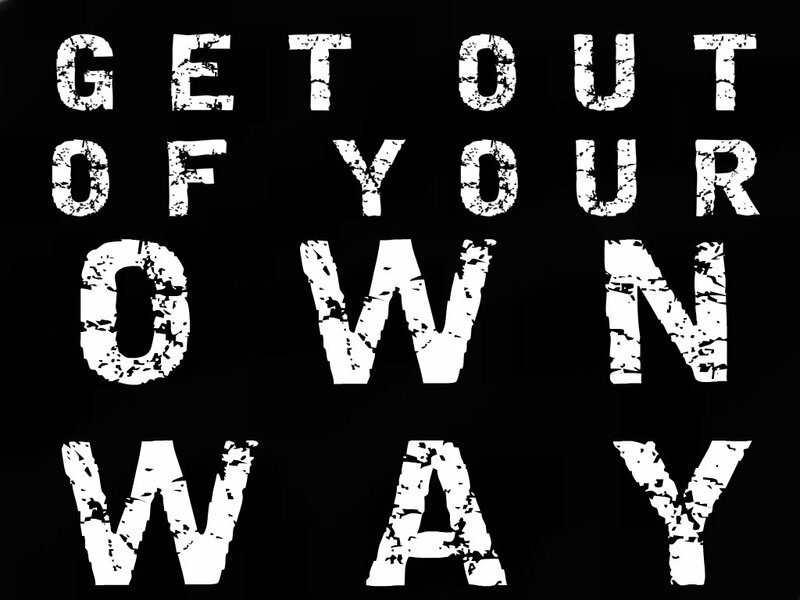 Rory, Tracey, Jeff L. and Jeff M., all members of CrossFit MidHudson, agreed to step into the unknown with me. Josh, who we would soon meet, was also a first-timer. This would certainly be interesting. From the very beginning we clicked, each of us making room for the others and finding room for themselves in our new vaniverse. We reveled in the weirdness of it all, and Josh fit right in. Then, after a leg or two, Jeff L. realized we were ahead of schedule. Prior to the race, each team member submitted an estimated pace for the race, so each leg was theoretically timed in order for us to estimate when we would arrive at the checkpoints. Jeff L. pointed out we were beating our estimates. That’s all it took. We were no longer running for ourselves, but for the team. My first leg was 6.3 miles, which I dispatched faster than I had ever run that distance. Over the course of the ensuing 30 hours, we hung out with friends, laughed a whole lot, supported and encouraged each other, and, through our running, inspired each other to reach deeper, feel better, and run faster. We celebrated every victory we could find – passing runners and other vans, never walking, shaving more and more time off our estimates, and remembering which band recorded that 90’s song. On occasion we’d stop at check points which, overnight, looked like Reebok-sponsored refugee camps. And, on occasion we’d meet up with our other teammates to commiserate and celebrate. We were relying on each other, and it was okay. It was at 3:45 am Saturday morning on my last leg when I realized I was running a long, straight stretch of paved darkness under a clear, star-filled Adirondack sky. It was beautiful. And I was alone…with friends. 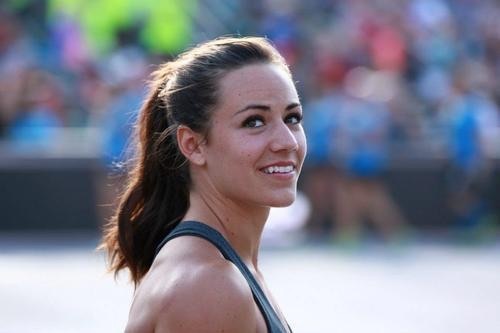 An amazing outpouring of physical skill and mental toughness moved Camille Leblanc-Bazinet into the title of 2014’s fittest woman on earth, but it was her words that moved me. When asked what was behind such a spectacular performance, Camille said for the past year every day at the box was her CrossFit Games day. Every workout was do or die; total, complete engagement. I heard the seriousness and focus in her voice and like any athlete or team that rises to the top, she exuded a magical familiarity through her performance; as if she had been there before. Camille won the 2014 Games long before her coronation this past July, her victory rooted in hours of training at her box in Quebec where every lift counted, and every mistake analyzed. Camille cut through the morass of tips and advice and nailed it – to succeed, first be present in training. How often do we read an advice article (Five things you’re doing wrong…) and fail at implementation? Perhaps our nosedive is less about the advice and more about distraction. At work or play, autopilot limits us every time. Last night at the box I took Camille’s advice. I hardly consider myself a slacker, but every so often I’m prone like most to lose some focus during my workout. From my warmup to the last ring dip in my WOD (Workout Of the Day,) I lasered in on form and focus, trying to smooth out the rough edges, slow to explosive, being present in each of my lifts. If I became distracted, I walked away to regain my center. The result was fantastic. 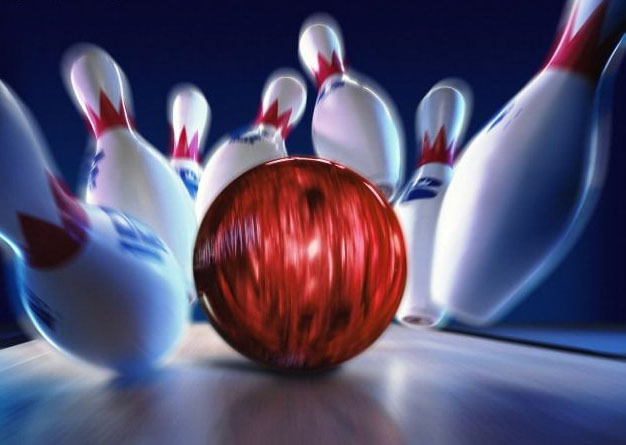 Complete engagement enabled me to feel my form failing, and in turn when it was spot on. It was clearer to me what was wrong and right about my lifts. But, even more importantly, after the WOD I was spent. The intensity of the workout was off the charts; a welcome feeling because workout time is precious to me. It hurt like I had been in a competition, and I liked it. This was such a successful experiment I thought I’d duplicate it at work. There’s this pile of paper on my desk representing unfinished business. I vowed to start at the top and focus uninterrupted time on the issue represented by each document. In an hour’s time, the top five documents were gone; five items off my stagnant, vertical to-do list. We have to deal with distractions every minute of every day. Take away external disturbances and we’ll create our own, from the voice telling us we’re messing up to the one telling us we’re the next big thing. At work or play, distractions dilute our focus, slow us down, drain our energy. The real work before the work is giving something (or, frankly, someone) we care about our absolute and complete attention. Only when we’re fully present can we put all our knowledge, tips, experience, and advice to work for us. Set your sites on an hour a day and work from there. Fill in the blank: I don’t ______. I don’t run on treadmills. There was a time I traded winter’s chill for the warmth of the indoor trainer. To overcome the mind-numbing staleness I tried every distraction imaginable – ipod, magazines, television. Eventually I gave up and returned to the cold, wild outdoors where I now happily slog through slush and snow. By creating my own limitation and crossing the treadmill off my bag of tricks I’ve taken my rightful place with my colleagues who will this Spring be scrambling to catch up to those fit gerbils who spent the winter working on their weakness and becoming stronger on their treadmills and indoor cycling trainers. Those of us who enjoy pushing our limits must recognize when we are the ones fortifying rather than breaking down our boundaries. What’s standing in the way of our dreams? How far out of reach is that career we desire? What needs to be done to hit that next personal best? 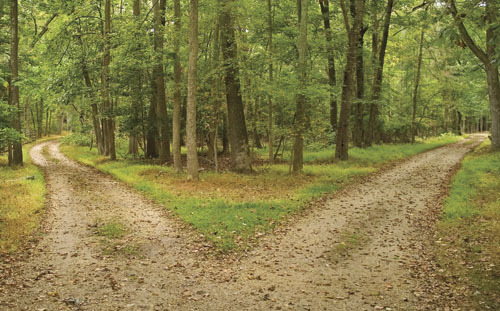 Where have we settled when we absolutely should not have? Just a quick word of advice as we enter the season of excuses – dissect your limits, you’ll find yourself in some of the details. The road to happiness is right there my friends, get out of your own way and go. Sorry but no matter how cool you are, you just can’t have it both ways. So much of what Laird laid out was intuitive and practical. For example, his first rule is “I base everything on how I feel.” Laird’s not much for pre-packaged routines and exercise plans based on age, weight, hair color, etc. He wakes up and feels good, he hits it hard. He feels sleepy, he rests. “It’s really about keeping in shape for life.” Again, I agree. Laird’s analogy is that your body is like a car, keep driving it and it will keep running, but park it for a long period of time and it may not start when you need it. Hold on, now, I thought we established the ‘junk in, junk out’ premise. This vehicle we keep talking about, whether it’s a car, truck, hybrid, or SUV, performs based on how it’s treated. Crap in, crap out sums it up perfectly. While I’ve never had a seizure over a lack of sprouted bread, I certainly have been dismayed and frustrated by the lack of healthy food choices in restaurants, especially when I’m traveling. When I eat too much processed food, I simply feel bad. Had Laird promoted a cheat day, fine. I get the value of comfort food. But our engines should be as ‘high-performance’ as possible, and our quest for real, healthy food should have a permanent place in our lives, overshadowing the temptation to pull into a fast food restaurant and chow down. Recently, my friend Kristen spoke with someone whose level of nutritional understanding was most likely based on some clever company’s marketing strategy. She recounted her conversation on Facebook, saying that this person’s nutritional day consisted of a meal replacement shake for breakfast, a Lean Pocket for lunch, then a gorging at dinner because they were starving. In the end, Kristen implored that we all “just eat real food.” I agree, wholeheartedly. We can justify all we want, but this is simply not a gray area. Eating right is just like training, it takes effort, knowledge, and discipline. And, please don’t justify bad nutrition by pretending it’s some reasonable response to a zombie apocalypse of crazed health nuts. If you’re going to defiantly eat a Big Mac, leave me out of it. I think it’s time to put the sprouted grain freak stereotype to bed. I seek real food for the same reasons I seek physical challenges, personal fulfillment in my career, and anything else that means something to me. It’s a lifestyle. It’s either ‘junk in, junk out’ or it’s not. One of the joys of being an athlete is telling stories. From the everyday lessons and hilarious moments during training to epic fails and victories at races, as athletes we’re always ready to shoot the breeze about our experiences and listen to others recount their greatest hits. These shared experiences render our differences irrelevant. Because of my athletic pursuits I’ve forged strong connections with people I would never have otherwise known. Had we met under different circumstances, we would never have connected on such a meaningful level. Perhaps we would have been at odds on most issues and written each other off. Endurance sports have taken me to so many venues where inevitably I meet people who share my passion. Facebook then enables us to look beyond the connection and realize the differences. Yet, our connection remains as long as there’s that passion and new stories to tell. My recent dive into Crossfit has placed me among an amazing group of people who could be my sons and daughters, nieces and nephews, or even, dare I say, a grandkid or two.Yet, whether we’re in or out of the Box, our common love of CF breaks down generational walls, making room for everything truly important, like our distaste for burpees and thrusters. The only time we ever diverge is when the rare 80’s tune is played to my obvious delight. \m/! So, why doesn’t this work in the workplace? Too often factions form, controversy brews, and trouble breaks out. This is the litmus test for shared passion and great team building. When diverging personalities come together without a common ground, there’s potential for disaster. That’s when leaders need to act quickly to find a connection between people to build on. It can be done, but it takes hard work. Some time ago I took over a team with a number of vacancies. Instead of merely filling these positions I created an overall strategy for building a stronger team that would connect on a deeper level than their jobs. When the team was assembled, I could tell it was successful from the outset. Lunch gatherings were as hilarious as they were instructive, conversations abounded, and the brainstorming fed a collective creativity that produced amazing ideas. I built a team with the right people whose connection transcended the work we were doing. Let’s face it, why would we spend our free time working out with or partying with people we didn’t connect with? Yet, so many people spend the better part of their week with strangers, and the less we have in common with them the harder it is. As leaders it’s our responsibility to build teams, which means we must bring passion and connection into the picture before we do anything else. People will ignore a whole lot of differences between them when they are connected meaningfully. If all they have are their differences, then nature will take its course. Step one is getting to know your people and writing down their traits, hobbies, and activities. Perhaps you could begin something extracurricular under the umbrella of your wellness program or as a conscious team building exercise. This doesn’t have to happen in secret. Your colleagues may even appreciate the effort and help out. You must be a catalyst for change at work by drilling into what makes your people happy and resetting your team’s course, reminding them about their common passions. Along with this being great for business, it makes of one heck of a fun place to work. Recovery is science wrapped in art. So many people I know are Type A’s who dive headfirst into everything. There they are, entrenched in their work and athletic life, leaving little or no time to recover. In order to achieve our dreams and live life to the fullest we must incorporate mindful recovery into everything we do. Athletically, this is based in science. Nothing good happens when we workout. After an intensely satisfying session we’ve stretched, stressed, and torn our muscles, preparing them to rebuild stronger. The key is to give them time to rebuild and not just get right back into breaking them down again and again. Professionally this is as much psychology as anything else. Weekends don’t count when you’re in it neck deep all week. Our responsibilities stay with us when we clock out, never too far away from our psyche. A week ago, my friend Mario got a cold. That might not have been so significant except for the fact that this morning he’s running the Philadelphia Marathon. Mario posted his concern on Facebook, worried that potentially a week sidelined by illness may derail his plans. The beauty of the post was that every single person who responded encouraged him to relax and stop worrying, that the recovery would do him good and that his goals were still well within reach. I was one of those who provided words of encouragement, and I wonder how many others, like me, easily gave advice we would find difficult to follow ourselves. So, how to break free? As for work, I will tell you with complete certainty you cannot count on weekends to really recharge. In the case of a Monday through Friday schedule you simply must regularly schedule midweek time for yourself, not to run errands and catch up on life, but to do something you love to do. Going to the dentist is not recovery. And, those things you already do that you feel offer you respite, like spending time at home with family and friends, are all good, but you can take your recovery to new levels by trying new and different things. See what the mall looks like on a Wednesday afternoon, visit a local town you haven’t been to in a while on a Tuesday morning, or, as I did a few weeks ago, check out the local bowling alley with your colleagues on a Friday afternoon. The positive effects of true time off are rooted in the joy of playing hookey. There’s a dose of defiance and anti-establishment combined with our basic and often overlooked need to play necessary for this to work. You must fully embrace making a selfish choice in an environment that values selflessness. Call it what it is – playtime. Recently a number of coworkers have discovered a local playground they’ve begun visiting at lunchtime. The brief escape provided by a swing set and slide recharges them, and they return with energy, enthusiasm, and most importantly a genuine smile, armed to take on the afternoon. You shouldn’t have to twist your own arm to recover. It should be as much a part of your week as work, working out, and life’s other obligations. Let me know how you schedule recovery into your life, and if you don’t yet, let me know how you plan to embrace this wonderfully selfish pursuit and how it affects your life. When you take time to recover, the science behind it will make you feel better. You however are the artist who must paint this important color into your masterpiece.